Gastown now has a 1:1 CBD/THC Water Clear in MCT oil. 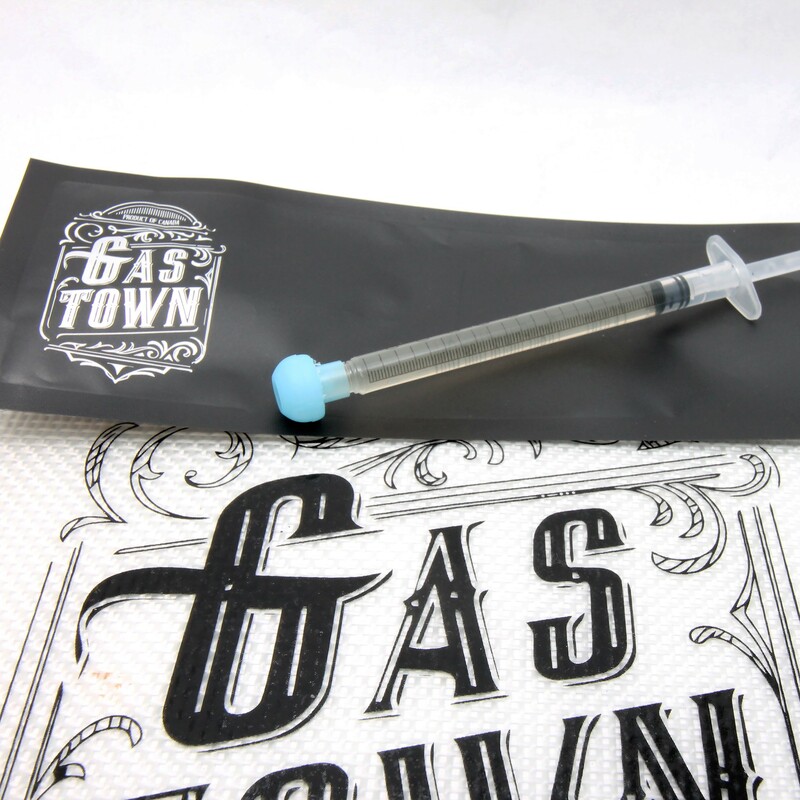 Each syringe has 100mg of THC and 100mg of CBD. These 1:1 syringes can be used to treat multiple symptoms. CBD is ideal for chronic pain including migraines, inflammation and joint pain including arthritis, it can be used to treat anxiety, depression, PTSD and more. CBD also builds up in your system as you take it, making it a preventative medicine. THC is used to treat nausea, stress, pain, depression, insomnia and much more. Having an equal dose of both of these cannabinoids means this product can be used to treat many conditions. This product can be taken orally, added to food or used topically but it cannot be dabbed. This product has a thin consistency and should be kept refrigerated.